Leadership development is a life-long process. Yet the church of Jesus Christ is in desperate need of strong leaders in this generation. In Charting a Bold Course, Andrew Seidel provides an exceptional tool to get you started on cultivating the unique gifts and abilities God has given you and your leadership team. This leadership course will fit perfectly in a leadership training program. The bedrock grounding of church leaders is in God. This grounding comes through deliberate and explicit attention to God through prayer and self-reflection. 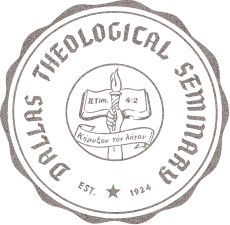 Leadership as vocation, Christian leadership, begins with self-leadership, clarifying one's own heart, one's whole being, and one's mind in order to find and show that one's most basic identity and deepest and most concrete security lie in God--not in success or in pleasing someone else or in being seen as a good person or being loved by a congregation or the faith community we lead. Christian Reflections on The Leadership Challenge is a faith-based companion to the best-selling leadership book of all time--The Leadership Challenge. Grounded in Jim and Barry's time-tested research, Christian Reflections on The Leadership Challenge describes their Five Practices of Exemplary Leadership (R) --Model the Way, Inspire a Shared Vision, Challenge the Process, Enable Others to Act, and Encourage the Heart--and offers practical guidance and inspiring examples about how Christian leaders can have a powerful impact in their workplaces, communities, and congregations by bringing their faith into their leadership. These days "getting religion" is generally considered a rather quaint thing of the past. "Getting spirituality," on the other hand, is the hottest thing on the market. In fact, corporate-sponsored spiritual salve is becoming the most popular prescription for the overworked and soul-weary employee. But for many Christians, this antidote has become its own epidemic. How is this epidemic infecting the church? How should the church respond as a community of believers?According to authors Michael Budde and Robert Brimlow, the church must resist becoming the "chaplain to capitalism." 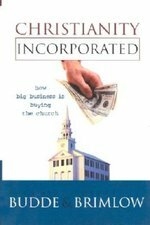 In their new book, Christianity Incorporated: How Big Business Is Buying the Church, they remind us that Christ-centered discipleship is fundamentally at odds with consumer capitalist priorities. The church must have a mission and a voice in society that is distinct from, rather than in chorus with, watered-down corporate spirituality. Finally, they turn to the Sermon on the Mount as a reminder of Jesus' attitude toward wealth and spiritual wholeness.Christianity Incorporated is a wake-up call for all Christians. 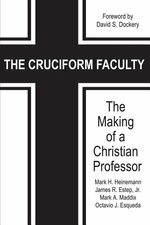 Courageous, current, and accessible, this book will attract the attention of business people, pastors, and lay members of the church.Anyone concerned with pursuing Christian discipleship in a consumer culture will find guidance and insight here. From Dagwood to Dilbert, the past fifty years haven't seen muchevolution in our attitudes toward work. Too many of us stillbelieve that our work selves and our real selves, our professionaland personal lives, are separate entities. This book is about howthat concept is slowly, but surely, changing. It is about why it ischanging. And, most important, it is about why it must change. C.Michael Thompson takes a compelling look at the connection betweenour inner lives and our work lives and shows how the development ofthe individual spirit can trigger not just personal fulfillment, but much-needed organizational change. Available for Sale in the U.S. and Canada Only. In this best-selling book, Kouzes and Posner (authors of The Leadership Challenge), explain why leadership is above all a relationship, with credibility as the cornerstone. They provide rich examples of real managers in action and reveal the six key disciplines and related practices that strengthen a leader's capacity for developing and sustaining credibility. Kouzes and Posner show how leaders can encourage greater initiative, risk-taking, and productivity by demonstrating trust in employees and resolving conflicts on the basis of principles, not positions. In our communities composed of people from various cultures, countries, and backgrounds, where does the church stand? How representative is it? And how can local churches best minister and evangelize within an increasingly multicultural society? 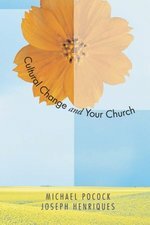 'Cultural Change and Your Church' is an invaluable resource for understanding the transformation of our cultural landscape and, most importantly, for learning how to embrace the resulting opportunities to minister to all people. Michael Pocock and Joseph Henriques consider the Bible's examples and teaching related to diversity, introduce several churches currently modeling cross-cultural ministry, and suggest hands-on ways for church leaders to encourage change and proactive thinking. #1 NEW YORK TIMES BESTSELLER - Brené Brown has taught us what it means to dare greatly, rise strong, and brave the wilderness. Now, based on new research conducted with leaders, change makers, and culture shifters, she's showing us how to put those ideas into practice so we can step up and lead. When we dare to lead, we don't pretend to have the right answers; we stay curious and ask the right questions. We don't see power as finite and hoard it; we know that power becomes infinite when we share it with others. We don't avoid difficult conversations and situations; we lean into vulnerability when it's necessary to do good work. But daring leadership in a culture defined by scarcity, fear, and uncertainty requires skill-building around traits that are deeply and uniquely human. The irony is that we're choosing not to invest in developing the hearts and minds of leaders at the exact same time as we're scrambling to figure out what we have to offer that machines and AI can't do better and faster. What can we do better? Empathy, connection, and courage, to start. Brown writes, "One of the most important findings of my career is that daring leadership is a collection of four skill sets that are 100 percent teachable, observable, and measurable. It's learning and unlearning that requires brave work, tough conversations, and showing up with your whole heart. Easy? No. Because choosing courage over comfort is not always our default. Worth it? Always. We want to be brave with our lives and our work. It's why we're here." 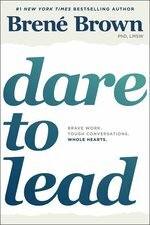 Whether you've read Daring Greatly and Rising Strong or you're new to Brené Brown's work, this book is for anyone who wants to step up and into brave leadership. Strong leaders have vision that is both far-reaching and focused on the details. Having that vision is what separates the church with a hodge-podge of ineffective programs and activities from churches that reach people effectively, efficiently, and consistently with the Good News. 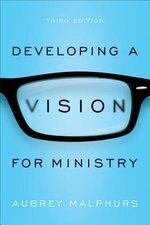 Now in its third edition, this groundbreaking book continues to offer church planters, pastors, and ministry leaders concrete help with crafting vision statements, encouraging buy-in from the influencers in the church, turning up the energy level, and ultimately growing the church. In 1993, John C. Maxwell's now-classic work revolutionized the way leaders are made. By examining the differences between leadership styles, Maxwell outlines principles for inspiring, motivating, and influencing others from any type of leadership position--including as a business executive, a church leader, a teacher, or even a parent.Now the author has returned to his best seller to include the leadership insights and practices he has learned in the decades since the book first appeared. Thoroughly revised and with two additional chapters, Developing the Leader Within You 2.0 has updated these foundational principles and promises to provide for both new readers as well as longtime fans of the original book the necessary wisdom to help any leader and organization succeed in fostering integrity, self-discipline, and effecting positive change.Develop your vision. Develop your value. Develop the leader within you.